SBA members keen to be involved in this summer's study tour to the Republic of Ireland are being encouraged to sign up as soon as possible. The main purpose of the association's trip, which will run from July 2 to 5, will be to find out first­hand how the Irish plan to deal with CAP reform. Exact details are still to be finalised but it is the intention that as part of the visit we will meet with Andrew Doyle, Chairman of the Agriculture Committee in the Irish Parliament, to discuss in detail how the Irish plan to implement the new regime. We will also organise some farm visits and a trip to Norbrook Laboratories, which is a world leader in the manufacture of veterinary and animal health medicines. The outline plan is that members, who will be responsible for making their own transport arrangements, will meet up at a hotel in Dublin (location to be announced) on the Wednesday afternoon/evening. A coach will then take us to the various visits and meeting with Andrew Doyle on Thursday and Friday before heading for home on Saturday. We will of course make sure that we leave enough time to sample the world renowned Irish hospitality! However, to enable the final arrangements to be made, such as booking accommodation and the coach, we need to have some idea of how many people intend to travel. Spaces are limited and are being allocated on a first come first served basis so to avoid disappointment please let us know as soon as possible if you will be able to join us. Partners are welcome to attend what promises to be a very interesting and informative trip. If you wish to join the tour please let Duncan Todd know as soon as possible, but no later than 15 April, by email to duncan@scottishbeefassociation.co.uk or call him on 07582­731307. 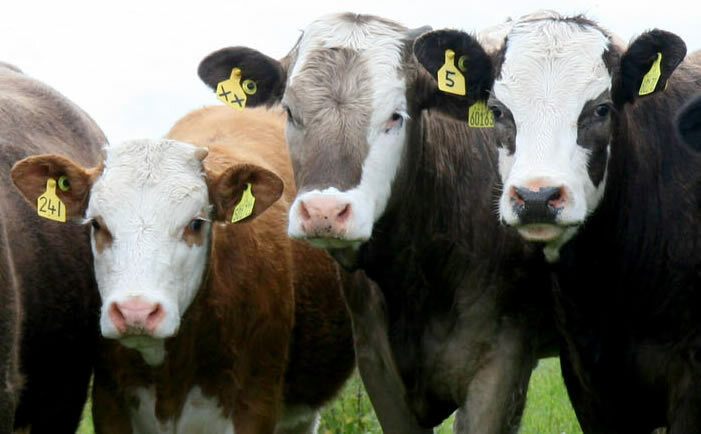 The Scottish Beef Association has meanwhile welcomed the news the European Commission has agreed to work with Scotland to seek a resolution on the coupled support issue. Richard Lochhead spoke with Commissioner Ciolos on Thursday to voice his concerns over the previous week’s CAP u­turn, and received assurances from the Commissioner that he understands the frustration over the situation and has asked his officials to continue to look for a solution. Scottish and European officials will now hold discussions this week to discuss the next steps, and the Cabinet Secretary will also have a face to face meeting with the Commissioner thereafter. The Scottish Government has said payments under the Scottish Beef Scheme are to start arriving in beef farmers’ bank accounts from Thursday 17 April. The support, totalling £22 million, is an important boost to the Scottish beef sector, helping to stabilise production and secure throughput for the abattoir sector. It highlights the value attached to targeted, coupled support with widespread expectation that a Scottish beef scheme will be a feature of future CAP arrangements in Scotland from 2015 onwards.